Springfield, MA: That Cannabis Show is a unique industry event that offers education, networking and entertainment to fuel the emerging cannabis sector in the Northeast. Whether you’re a expert looking to expand an established business or a curious cannabis-friendly citizen – there’s a place for you. Open to the public, this event offers an accessible and friendly space for anyone interested in the industry to explore, learn and connect to a budding community. 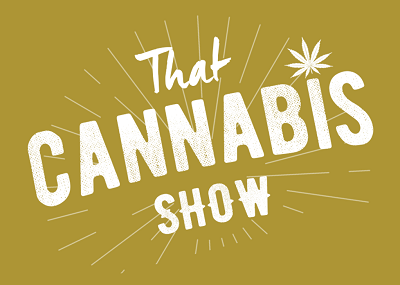 So, what is That Cannabis Show? It’s a cannabis expo in 2 parts providing crucial educational content and entertainment that unites the community. The CannaBiz content is a traditional business-to-business tradeshow including educational programming providing an informational toolkit for cannabis entrepreneurs. CannaBliss, presents a lively celebration of the cannabis community in all its wild and wonderful forms including celebrity appearances and a film festival. Guest stars include Jay Chandrasekhar- star of hit films Super Troopers and Beer Fest, Keith Stroup – founder of NORML, and the founders/stars of The Marijuana Show who will be holding auditions for their 4th season of this ‘Shark Tank for marijuana’ at That Cannabis Show. Northeast media are getting the “green carpet” treatment. That Cannabis Show has reserved premium exhibition space for Media Row to showcase their content to a captive audience. Media company representatives are encouraged to contact That Cannabis Show about their special offer to connect with an emerging multibillion-dollar consumer and business market. This is the right time and place for That Cannabis Show! Interest in the marijuana industry is at an all time high, especially in Massachusetts due to the recent legalization for recreational use and Springfield is a resurgent city. The Mass Mutual Center has been recently acquired by the brand new $960 million MGM Springfield resort and casino. That Cannabis Show will be one of the first major events hosted by the premier venue. Businesses seeking to expand by connecting with the cannabis community through displaying their wares or services are encouraged to act soon. Up to 170 unique industry exhibit booths are available to engage with an expected 7,000 business and opportunity minded attendees. That Cannabis Show democratizes the booming opportunity in cannabis by delivering an experience accessible to all through business, education & play. We believe that broadening our definition of entrepreneur will promote a healthier and more inclusive cannabis sector nationwide. Buy your tickets or reserve your exhibition space now by visiting www.ThatCannabisShow.com!